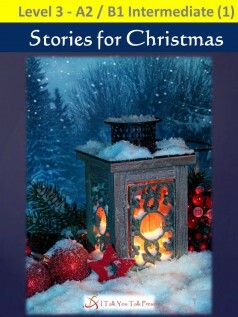 There are five special Christmas stories in this book. It is Christmas Eve and Rick has not bought a present for his wife yet. All the shops are closed. What is he going to do? Then, he sees one shop that is still open. The hardware shop. But what can he buy for his wife in the hardware shop? Luckily for Rick, the present he chooses saves the family’s Christmas! The brass band girls play Christmas music in the town. Everyone loves their music, especially one old lady. When the old lady tries to give the girls some money, something terrible happens. Can the girls help the old lady to give her a happy Christmas? Kath and her family go to the beach for Christmas. But who is the little boy on the beach? Why is he alone? When Kath and her family find the answers, they have to hurry to save someone’s life. Enjoy these stories and two more in Stories for Christmas!